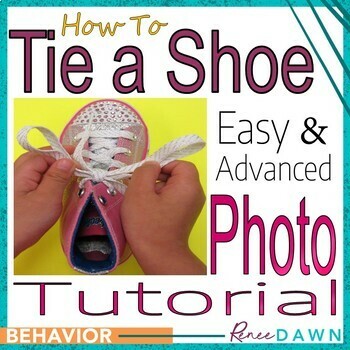 How to Tie a Shoe – Photo Tutorial with Captions. 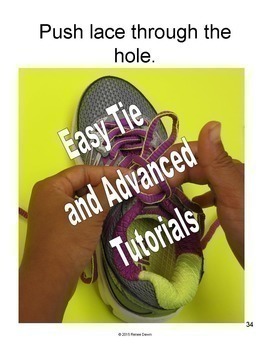 How to Tie a Shoe: Easy and Advanced Shoe Tying Tutorials, with instructions for how to Double-Tie Shoes. Place the Shoe Tie booklet in a basket with a shoe, or with the shoe cut-out provided. 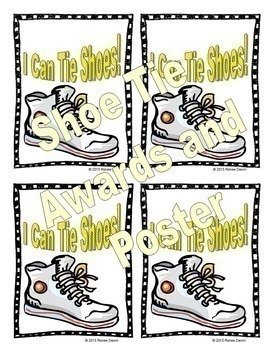 Or, kids can practice tying their own shoes. You will never have to tie another shoe again! Photos are large and clear with easy to read captions. This works well as an informational text center, to follow directions. Behavior Management with Humor -- a creative approach to discipline in the classroom. For use by one teacher only in the classroom setting. Please respect the copyright.